Apple is always at least years ahead of they’re product cycle , before the death of Steve Jobs Apple made a decision not to release its latest design for the iPhone and instead released the 4S. Why? Simple, the competition had not caught up with Apple and the need for a total design change was not necessary the 4s still had what it took. Apple could rely on the carriers two-year contract recycle period to kick in. As well as increasing its carrier base to get thru the next year. There simply was no reason to reveal new features until the competition got closer. Some have claimed that the death of Steve and the publicity that brought was also a factor in the upgrade decisions. I doubt it but whatever. 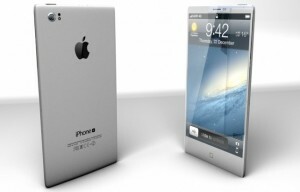 What we are witnessing here is what Tim Cook promised at allthingsD this year. With that statement I doubt Tim meant that Apple would be increasing their security budget to hire more guards or issue new security passes. I think he was referring to something a little more sophisticated, I think he was speaking about flooding the rumor mill with disinformation. Apple has move proactively to plant stories, nothing dishonest but like their routine of planting stories to catch leaks in the organization this campaign has been expanded to the rumor mills. “It’s good for business , this has to happen every couple of years , gets rid of the bad blood” (Clemenza in GF1). 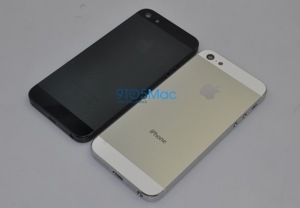 Maybe a little wink here a little nod there in response to questions about that the images we have been seeing of the longer iPhone with the same look as the photo above courtesy of 9-5 Mac are false. The talk and discussion about the New iPad Mini are also misleading and with very good reason. With so many pundits looking under every rock Apple might as well use them to their own advantage. Apple will release a new iPhone but it will look nothing like the one pictured above , simple common sense should tell anyone that with over two years since the release of the iPhone 4 and the recent release in court documents detailing Apples aggressive design process that Apple will do a lot better than that. As the competition heats up Apple can not afford to be outed to early otherwise in the case of the iPhone its competitors will introduce upcoming design and features before Apple, denying Apple the ability to frame their market. In the case of the new so-called iPad Mini the competition would as Google has done with Nexus 7 introduce their version in an effort to force Apple to enter a low margin market as well as look as if it is playing catch up to Google. That is why I believe Apple will include the iPod Touch line with the iPad line an introduce a 7-8” model labeled The New iPad Touch, targeting a younger less serious audience and aimed at the gaming market. This will give Moms a choice of choosing a handheld game machine with the educational benefits of an iPad. Leaving the iPod line as a media device. Apple gains the ability of bringing down their more serious professional line to compete on that form factor and classifies efforts from Google & Amazon as less “serious” devices. If Apple had released their intentions earlier Google would have promoted their device as a gamer as well. One thing I can predict is that after September 12, the tech industry will start looking at itself , creating another story and more buzz for Apple . Something’s never change.